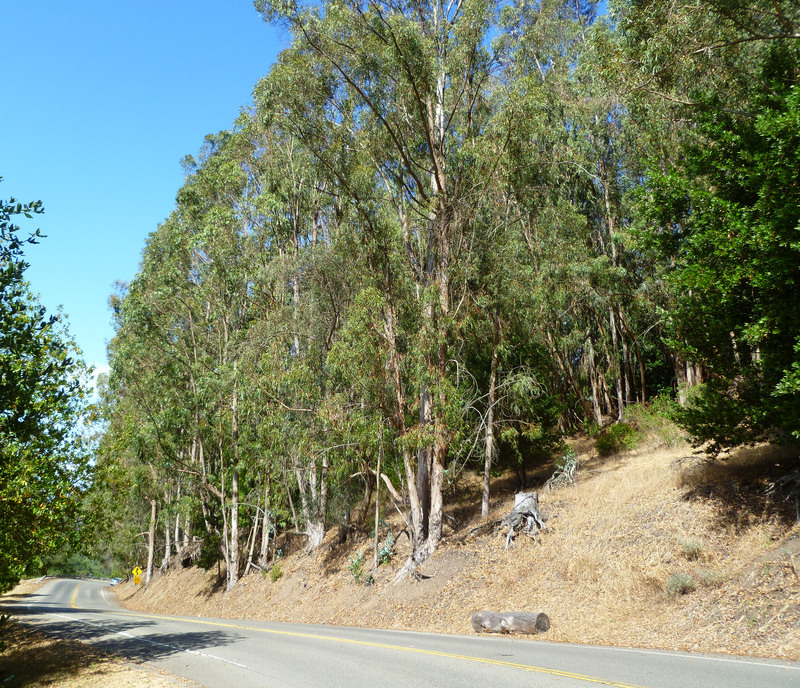 Many of the readers of this site are aware that trees and habitat are threatened, not just in San Francisco, but across the Bay Area, due largely to the same kind of sentiment vilifying introduced species as the “Natural Areas Program.”. 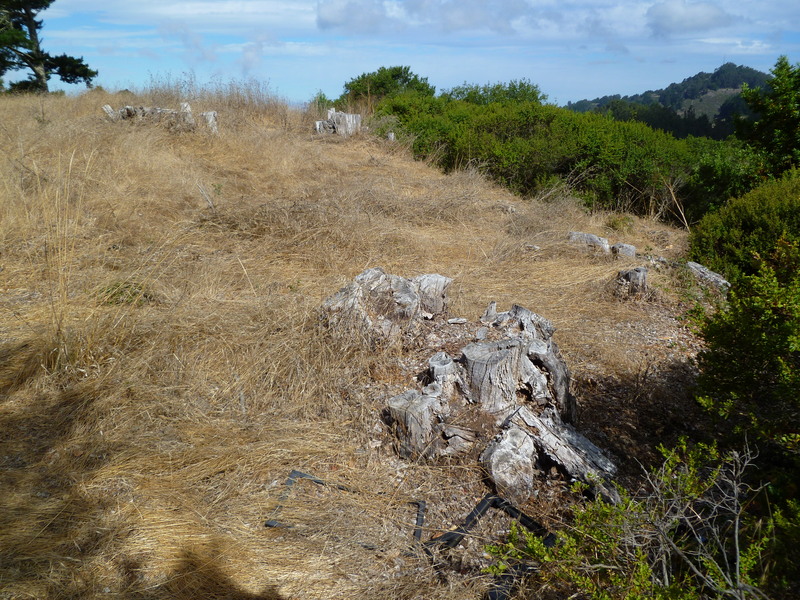 The immediate threat is in the East Bay, where three land managers (including University of California at Berkeley) are seeking FEMA funding to destroy hundreds of thousands of trees. (We wrote about that HERE.) Most people oppose these plans, and have found the Draft Environmental Impact Statement (DEIS) inaccurate and incomplete. Over 5700 people have signed the East Bay Hills petition. We’re pleased to note that the Environmental Protection Agency (yes, that one!) has also written a comment on the DEIS. This article describing their concerns is republished with permission and minor edits from Death of a Million Trees. FEMA proposed project on the right. Claremont Blvd. westbound. The EPA recommends that the final EIS take into consideration the impact that climate change will have on the success of the project. For example, as plants and animals move in response to climate change, they may no longer be viable in their historic ranges, which this project attempts to replicate. Ironically, the project contributes to climate change by releasing tons of greenhouse gases that cause climate change. The DEIS does not acknowledge or analyze these factors. A completed project 10 years later. Southbound Grizzly Peak Blvd. There are many different formulations of Roundup with different properties, yet the DEIS does not identify which formulation of Roundup will be used. Therefore we cannot evaluate its toxicity. The DEIS does not clearly state which herbicide products will be used for what purpose and in what locations. The DEIS does not clearly state the method of application of herbicides. The DEIS does not acknowledge that both triclopyr and imazapyr “can migrate through the soil” which will damage the native trees and vegetation this project claims to promote. The DEIS evaluates the impact of herbicides only on endangered species which may or may not be the most sensitive species to herbicides. The final EIS must evaluate the impact of herbicides on the most sensitive species of animals, whether or not they are endangered. Reports of toxicity of herbicides in the DEIS are incomplete and inaccurate. Likewise, the DEIS claims that requiring applicators of herbicides to wear protective clothing is a “Best Management Practice.” Wearing protective clothing is required for legal application of herbicides, not a voluntary measure. Several contradictory statements are made in the DEIS regarding maximum wind speeds beyond which herbicides should not be applied. The DEIS claims that the “Lowest Observed Adverse Effect Levels” of herbicides can be estimated from an experimentally derived “No-observed Adverse Effect Level” without providing any supporting reference. The EPA asks, basically, where does that claim come from? The EPA points out inconsistent and incorrect use of the phrase “Certified Pesticide Applicator.” That may seem a small quibble, but it means that we have no idea what the qualifications will be of the people who will apply herbicides. The DEIS announces that a specific adjuvant or surfactant will be used without telling us anything about the properties of that product. The adjuvant or surfactant is the inert ingredient in a formulated herbicide product that delivers the active ingredient (the poison) to the plant. The DEIS uses an outdated EPA study about the effect of glyphosate on rabbits to report the toxicity of the product on rats. Whoops! Old data about the wrong animal! Picky, picky. EPA ASKS: ARE THE TREES BEING REMOVED FOR DEVELOPMENT? GOVERNMENT IS DOING ITS JOB! We are amongst the slim majority of voters who believe that government has an important job to do. We are often disappointed by government, but we aren’t inclined to kill it because it is sometimes incompetent. We are therefore very pleased to tell our readers that the EPA has apparently read the DEIS published by its sister/brother agency, The Federal Emergency Management Agency. Although they did not identify many of the important issues in the DEIS, they identified some of them. For that we are grateful as well as hopeful that the sponsors of these destructive projects will be forced to at least modify them, if not abandon them altogether. Thank you, EPA!